Want a healthy dinner on the table but don’t have time to cook? Need to keep things simple for a weeknight dinner? Then you’re going to love this book—it’s full of simple, satisfying, delicious dinners that can all be made in just one pot. If you think one-pot meals are just heavy stews, you’ll be amazed at the spectacular array of nutritious dishes on offer here. Th e meals in this book range from paellas, pilafs, and risottos to frittatas, braises, casseroles, and roasts. Plus you’ll find advice on some of the essential tools for one-pot cooking; favorites include the large nonstick skillet, the Dutch oven, the slow-cooker, the roasting pan, and the wok. Flip through this book, filled with recipes for over 100 meals, most accompanied by mouthwatering photos, and you’ll be hungry to try them for yourself. Each recipe has been tested and approved by the EatingWell Test Kitchen. And they’re easy—most take less than 45 minutes and call for simple, easy-to-find ingredients. You’ll feel good about serving these meals to your family, knowing that each one has been approved by EatingWell Magazine’s team of registered dietitians. The recipes follow simple, sound nutrition principles: they use lean meats and seafood; plenty of herbs and spices rather than loads of butter, cream, and salt for seasoning; lots of vegetables; and whole grains over refined grains. All this plus fewer dishes to wash afterwards! 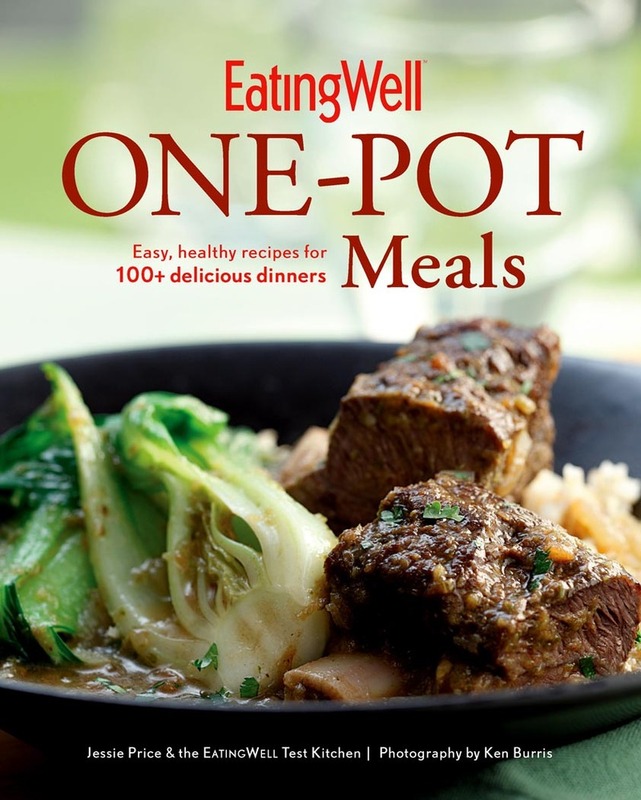 It’s the authoritative guide to quick and easy one-pot meals.